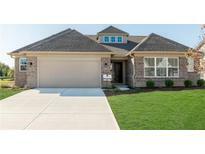 Find Fishers, IN New Homes for sale. View Photos, Maps and MLS Data Now! Come see & you will fall in love with Drees at Belmont Place. MLS#21633101. Drees Homes. Beautiful tray ceilings. Photos are of similar models. MLS#21632343. Integra Real Estate. Located in Blue Ridge Creek-beside Finch Creek Park & Fieldhouse & near the shops and restaurants at the Hamilton Town Center Outdoor Mall. MLS#21630708. CENTURY 21 Scheetz. 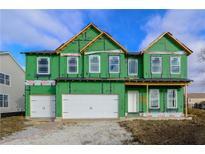 Highpoint Ridge - See more on Integra Builders website! MLS#21630177. Integra Real Estate. 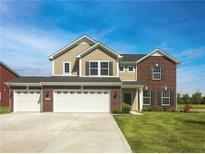 Photos shown may be an artists rendering, model home, or the same model located in a different subdivision due to current construction stage MLS#21629634. CENTURY 21 Scheetz. Builder 2 yr Home Life Warranty! MLS#21629882. CENTURY 21 Scheetz. Photos shown may be an artist rendering, model home, or the same model. MLS#21629481. CENTURY 21 Scheetz. Photos shown may be an artist rendering, model home, or of the same model but located in a different Lennar subdivision due to current construction stage. MLS#21629514. CENTURY 21 Scheetz. Photos shown may be an artist rendering, model home, or of the same model but located in a different Lennar subdivision due to current construction stage. MLS#21629522. CENTURY 21 Scheetz. Large corner homesite. Don’t miss this one! MLS#21629508. CENTURY 21 Scheetz. Community offers pool, playground, basketball court & MORE! MLS#21628507. ERA Real Estate Links. Belmont Place - This home is available for a July closing. MLS#21628319. Drees Homes. Other upgrades include raised vanities, recessed lighting, full basement w/egress windows, water softener rough in, 3-car garage & MORE! HSE Schools! MLS#21627706. ERA Real Estate Links. 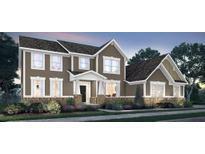 Silverton - Home is to-be-built & photos are of similar model. MLS#21627149. Berkshire Hathaway Home. Deep Kitchen Sink with Upgraded Faucet – Additional Lighting & Pre-Wires throughout the Home – Included Stainless Steel Appliances: Electric Range, Microwave & Dishwasher – Upgraded Flooring throughout the Home – Enlarged Rear Patio MLS#21626712. Ridgeline Realty, LLC. The garage will fit 4 cars and the neighborhood offers a pool, basketball and tennis courts, walking trails and plenty of common area. Great Neighborhood and Great Location! MLS#21626218. CENTURY 21 Scheetz. Anderson Hall - See why Fishers was ranked #1 Place To Live in America by Money Magazine! MLS#21626083. CENTURY 21 Scheetz. Close to HTC, for shopping & dining MLS#21625733. F.C. Tucker Company.